cosette sang that there is a castle on a cloud, but in truth, there is really none there, so there can be little comfort in a place, that fails to exist, where there can be no crying there. reality really does bite the dust, so little wonder why cosette was set with the task of sweeping floors. there is no room for sweet dreams, what more of sound sleep. 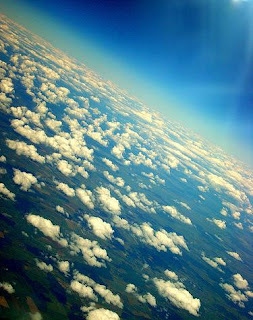 raised up on clouds to see the skies, just as one tries and opens one eyes, and touch the stars once admired from afar. that, is all but a fancy illusion and a foolhardy chase, because all it takes, is a drop to the ground, and fall on one's face. wonder what really hurts more, or rather, if it even hurts at all. time to get the head out of the clouds. time to get the feet on the ground. time for dreams to die and end.